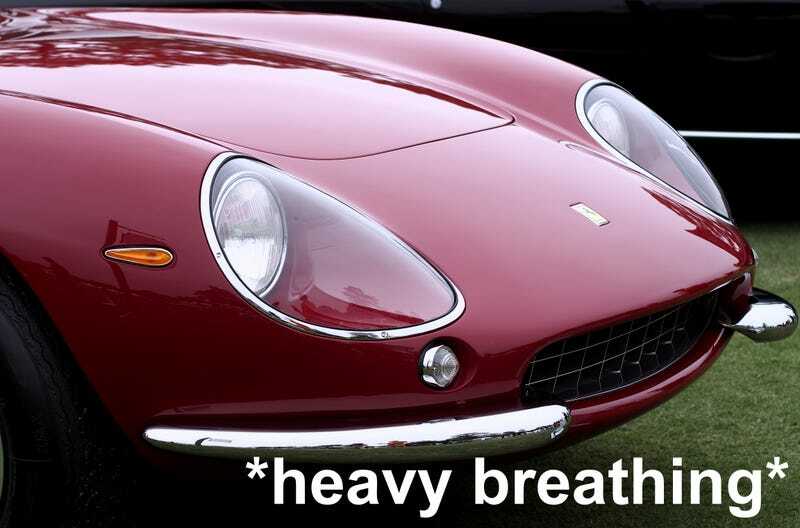 Here’s a photo of a 1966 Ferrari 275GTB owned by John & Karen Gerhard, who were kind enough to bring it to last weekend’s Pinehurst, NC Concours d’Elegance. Get it? It looks like the car is breathing heavily? It’s a meme. I’ll have the full gallery up sometime later this week, but for now, control your breathing.